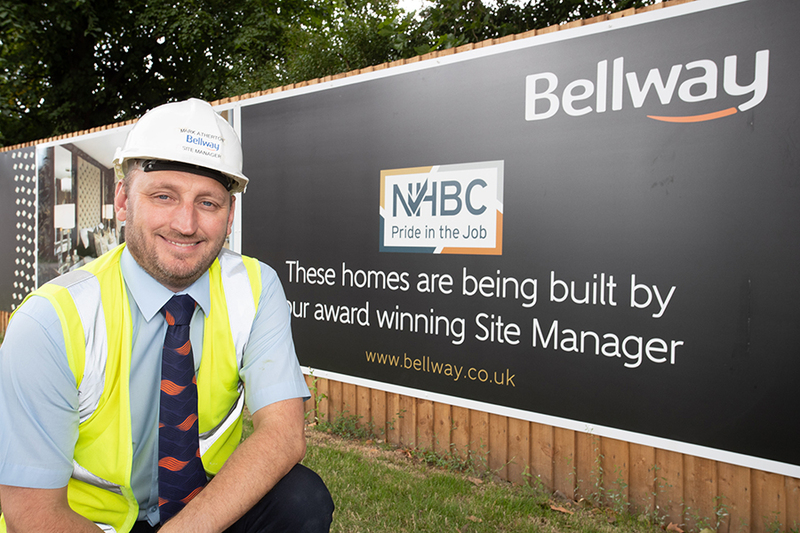 Mark Atherton, site manager at Bellway Homes’ Eclipse development in West Didsbury, is the proud recipient a National House Building Council (NHBC) Pride in the Job award. In existence for more than 35 years, the Pride in the Job scheme is dedicated to recognising the industry’s very best performers and is a prestigious accolade that site managers strive to achieve. To win an award, site managers must score highly in all areas of the build process including quality of workmanship, technical expertise, health and safety and management and leadership. Judges are also looking for meticulous and consistent attention to detail and the special qualities and attributes that set winners apart from the rest. Having worked in the construction industry for many years, starting off as a painter and decorator before moving into site management 14 years ago, Mark is thrilled to have received a Pride in the Job award for his work at Eclipse, Bellway’s prestigious development of high quality new build homes on Cavendish Road in West Didsbury. Located on Cavendish Road in the highly sought after suburb of West Didsbury, Eclipse is a stunning new development of two, three and four bedroom new build homes that enjoys close proximity to Burton Road and its thriving cafes, bars, independent shops and dining scene, well regarded primary schools and the local parks and public open space in Didsbury village. The development also benefits from excellent commuter links into Manchester city centre and is just a few minutes’ walk from the Metrolink station. Prices start from £659,995. For further information, please contact the sales centre on 0161 438 2771 (open five days a week, from 10am until 5pm Monday and Friday, 10am until 7pm on Thursday and 11am until 5pm on Saturday and Sunday. Closed Tuesday and Wednesday) or visit www.bellway.co.uk.